A turntable is often assumed to be retro. When we talk about the vinyl revival, we make people think about a piece of technology that's being brought back. At GPO we firmly believe retro style is something to be admired. 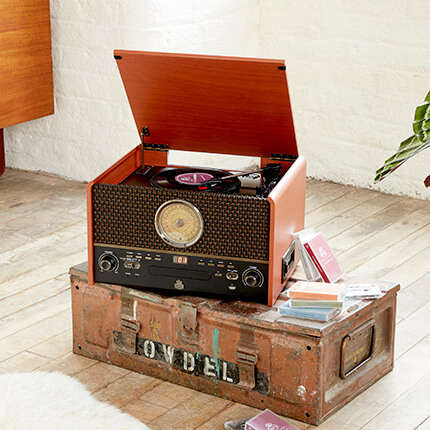 We love the nostalgia associated with a suitcase style record player, or cloth woven speakers. That doesn't mean the tech underneath needs to be anything short of cutting edge. Including a USB connection has proved a great way of allowing music fans to convert their vinyl into a digital format, and ensure they can take their love of vinyl records wherever they go. View Details >> A 4 in 1, the Memphis lets you convert your vinyl records onto a variety of formats, including USB or SD card. 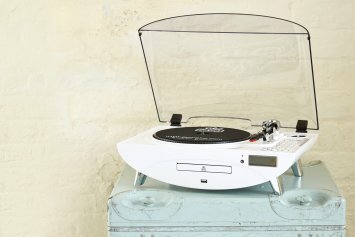 A full size three speed Best Turntables it comes in black, red, silver and cream. View Details >> The Jam is designed for a more precise sound with its weighted arm for playback. The USB port is underneath the CD player and allows music fans to convert their records, or use the unit's built in speakers to play digital tracks via USB. 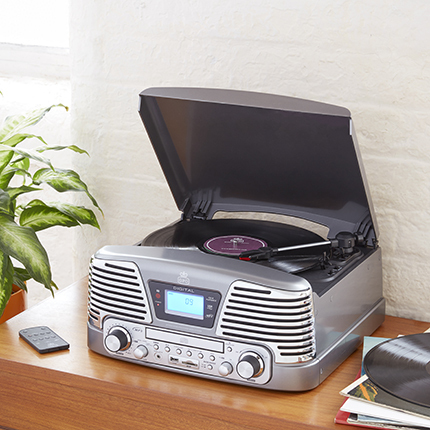 View Details >> As well as having a USB connection, the Ambassador is also a Bluetooth turntable, meaning you can stream your vinyl or use the built speakers to stream music from any compatible device. With a two tone finish it also has a rechargeable battery, so you can bring the suitcase turntable with you wherever you want to go. 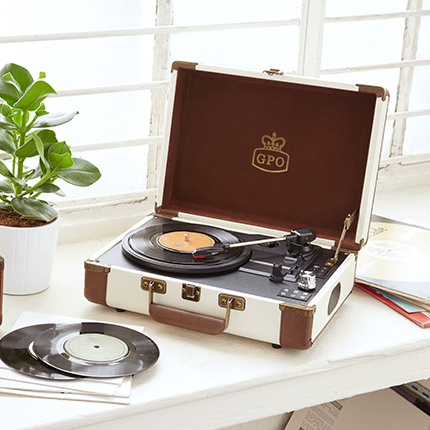 View Details >> Lightweight and available in a range of colours, the Attache is a traditional suitcase style record player. 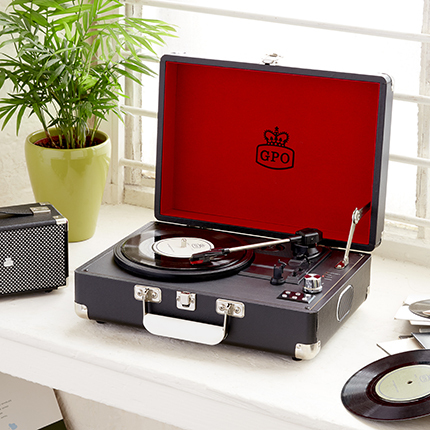 It comes with a USB so you can record all your vinyls onto a digital format. The Attache comes in brown, black, blue, red and green. 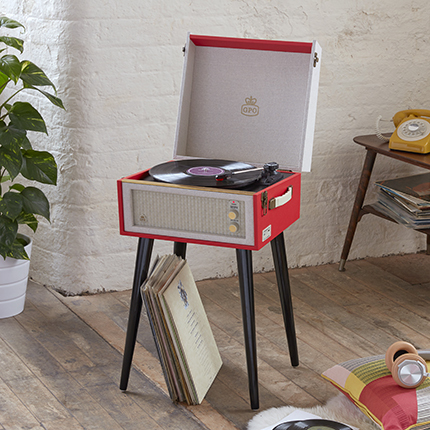 View Details >> The Bermuda is based on a famous sixties turntable design called the Dansette. With removable legs it can be freestanding, or you can store it on top of a flat surface. AS well as USB you can also plug your MP3 player into the Bermuda, letting you play music from a variety of platforms through the music system. View Details >> With its vintage grill, cloth woven speakers, retro style brass dials and wood finish, the Chesterton couldn't look more like a turntable from yesteryear. However, alongside the three speed turntable, there's also a radio,CD player, cassette deck and USB. You can use that plugin to convert your vinyl and your tapes, as well as playing digital tracks using its built in speakers. 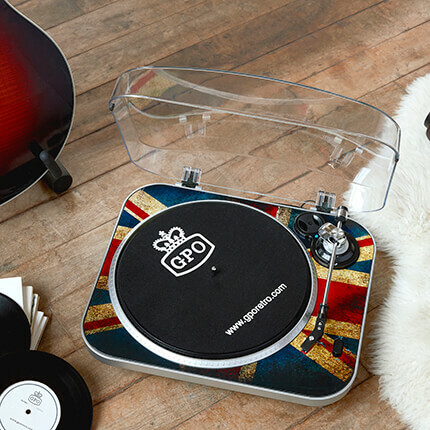 View Details >> The striking Union Flag design on the Jam makes it one of GPO@s most recognisable turntables. You can record all your vinyl onto your computer via USB. View Details >> One of our newest turntables, the Flight updates the suitcase style turntable and adds more features. 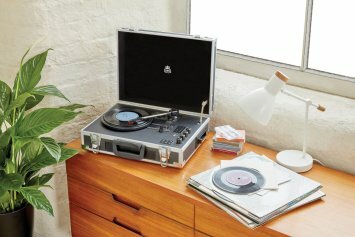 It's portable, with a rechargeable lithium battery, three speed record player, Bluetooth, cassette deck and also features a USB connection. There are two built in speakers and the Flight also features a ceramic stereo cartridge, jewel stylus and pitch adjustment.